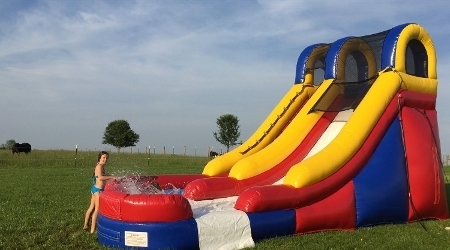 15ft of Water Slide Action! 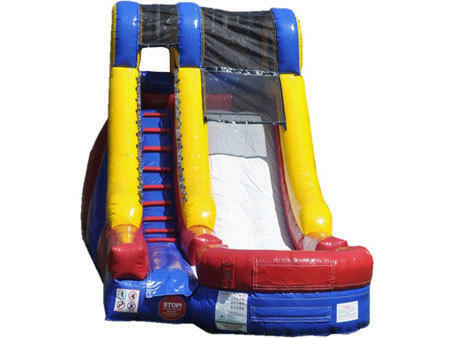 Ideal for outdoor events such as birthday parties, barbecues or any other sunny day event, this 15 Foot backyard slide is sure to be a sensation with both the children and grown-ups alike. 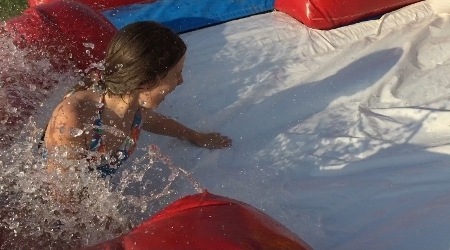 Water is a fun part of this inflatable! You will need a water spout with a garden hose to slide the day away. This inflatable slide is a blast.